Who is it for? The Marriage Course is for couples who have been married or in a cohabiting relationship over 3 year and seeking to strengthen their relationship. Some couples take the course to invest in their relationship, others need more urgent help. Either way, the course offers a lifetime of practical ideas and tools to help keep your relationship strong. The Marriage Course is based on Christian principles but designed for all couples with or without a church background. What can we expect? On The Marriage Course, you are seated at your own table for two. Each session consists of food and drink, a practical talk and a time for private discussion between you and your partner. Background music ensures that you can chat in complete privacy. You never share anything about your relationship with anyone other than your partner. What is the cost? The Marriage Course is $50 in advance or $10 a week. (Partial scholarships are available) We believe that you should invest something if you are truly going to get something out of the course. The cost is also to help offset our cost of materials and meals. 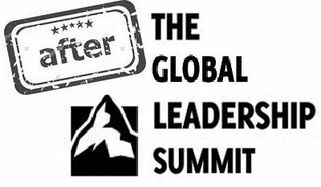 Were you excited about what you learned at the summit, but not sure what to do next or where to start? and set goals to help us move from inspiration to action. Didn’t attend the Summit. No problem. You’re welcome to come and see what you missed and learn and grow alongside those who did. It runs in churches, bars, coffee shops and homes all around the globe. Typically, Alpha has around ten sessions and includes food, a short talk and a discussion at the end where you can share your thoughts.